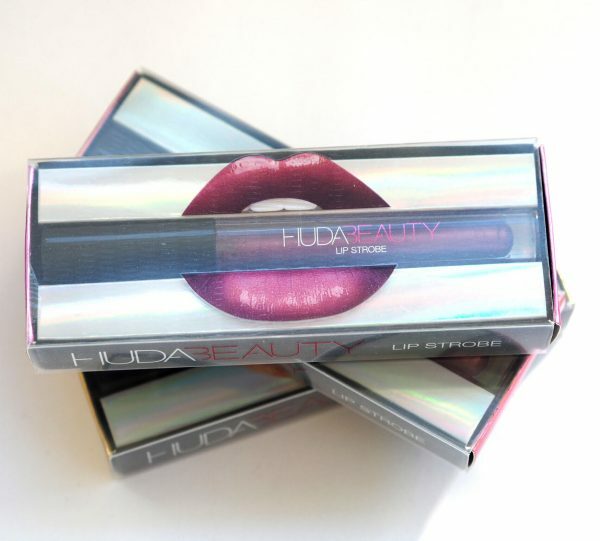 I have SO been looking forward to seeing the new Huda Lip Strobes – it’s my No.1 favourite range right now (okay, No.2 – Chanel is always No.1) and the brand has got some very strong product development going on right now that sets it apart from the big wash of ordinary. 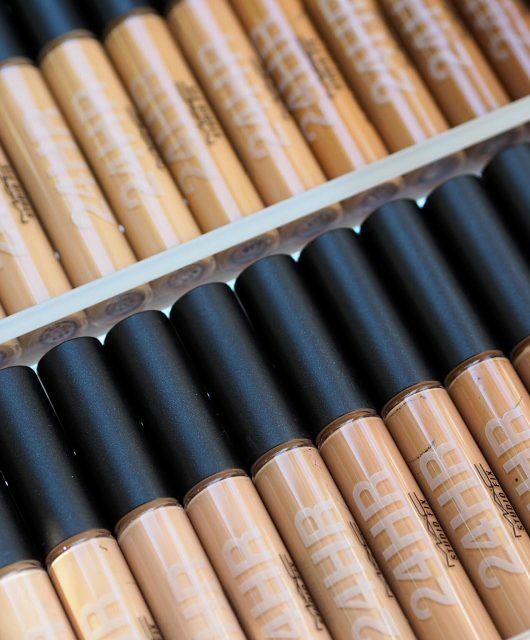 I’ve seen some incredible swatches on Instagram that I cannot replicate (certainly not with 3 – the range is 12 strong). 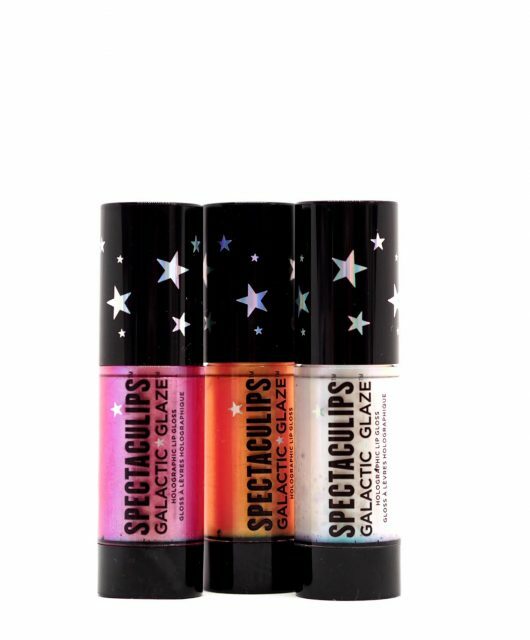 As you can see, they’re very light-catchy with pearlised metallics and a mix of iridescent, glitter and power-pigment, depending upon which one you choose. 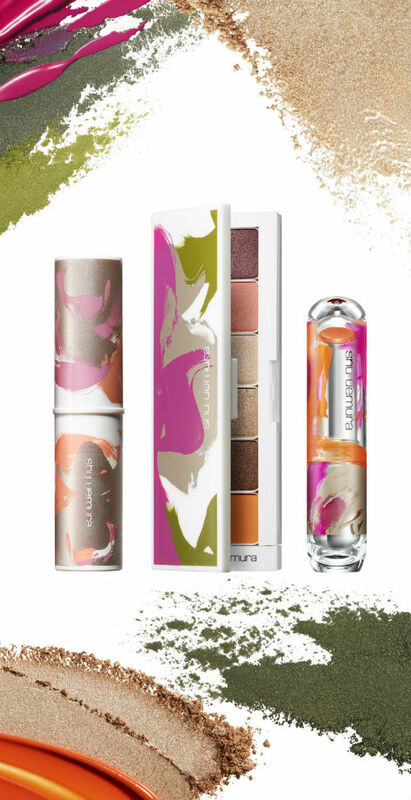 The formulas are goooooood – light on the lip, non-sticky and instantly lightful – definitely next level metallics – and there’s no back-taste either. 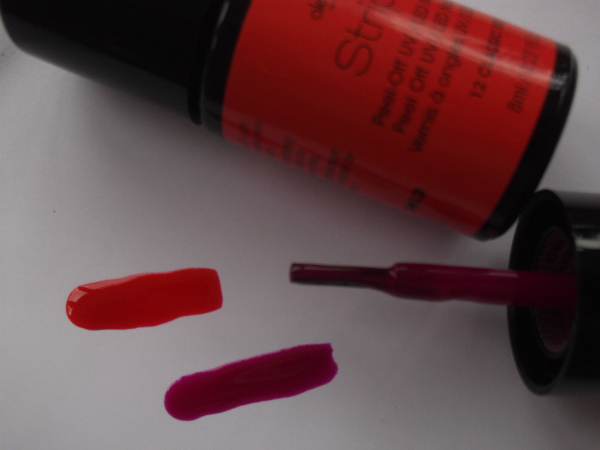 In the swatch (taken inside under lights) it’s Snobby, Posh and then Fearless. 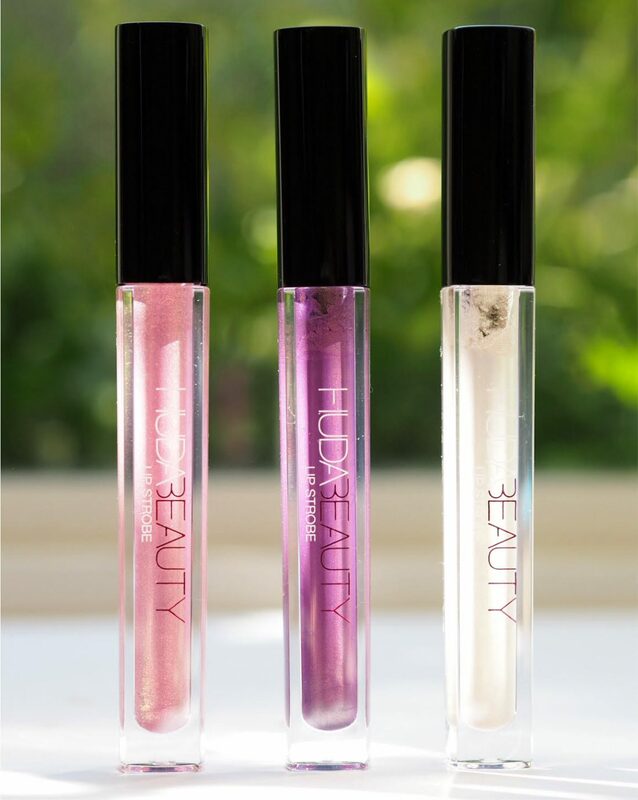 Snobby is a pink gold with shimmer, Posh is a yellow backed gold shimmer and Fearless has less shimmer but a ridiculously strong light reflective element. 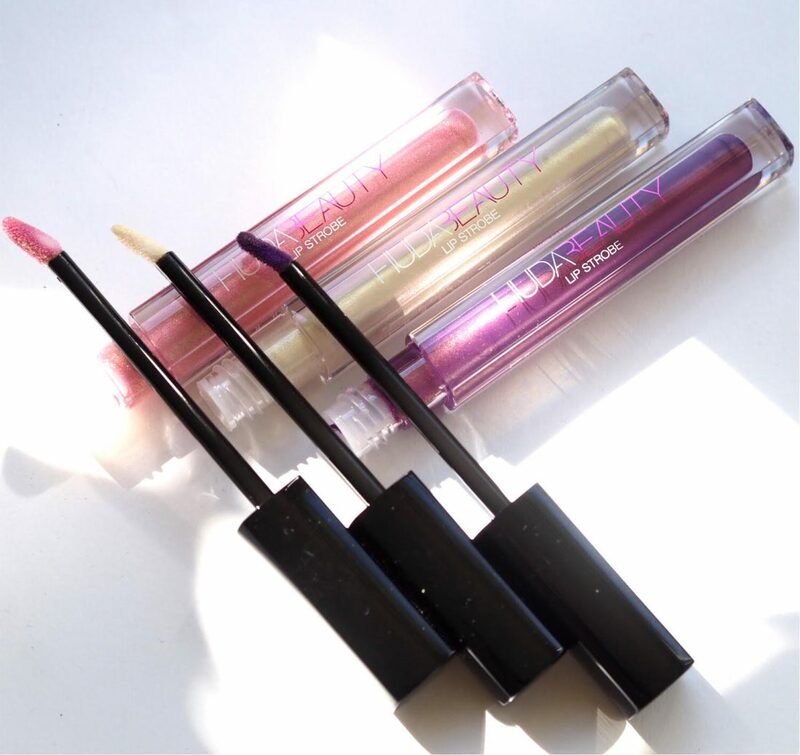 I’d recommend in heart beat – they’re the kind of lip covers that make you ‘oooh’ at the mirror while you apply; these are straight into my Keep Drawer and never getting outa there! They’re £17 each HERE. 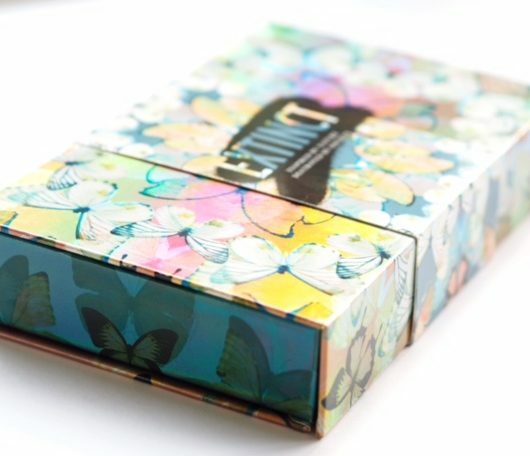 Better swatches from Huda’s site are below. Not my favorite thing to wear, but they are pretty! Chanel’s your favourite brand? For real? Even with that new awful director of cosmetics? 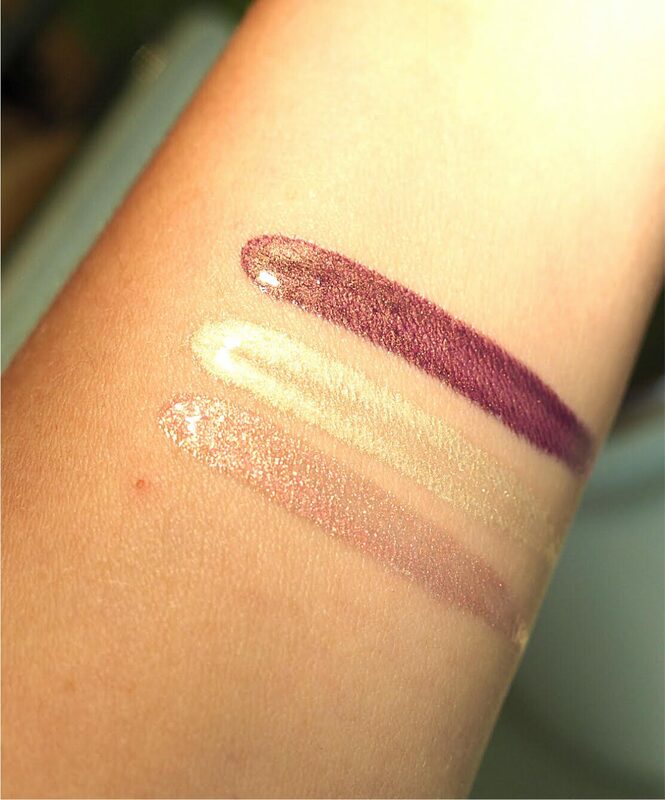 The Fearless swatch on you looks like a kind of gold shot deep plum but on the Huda pic it looks like a vivid purple – which one is closer to real shade? I’ve just ordered Angelic based on this post. SO pretty! Hmmm – the texture reminds me of the Lancome Lip Brio glosses of the early 90s, but a much brighter sheen. It’s lovely but I am not sure I like it much on me. It’s very similar to a lipstick I have, so I will probably keep it for dabbing on the bottom lip over that for a bit of a plumping pout rather than wearing it on its own. I don’t think I do the rest of my makeup in a way that suits it.